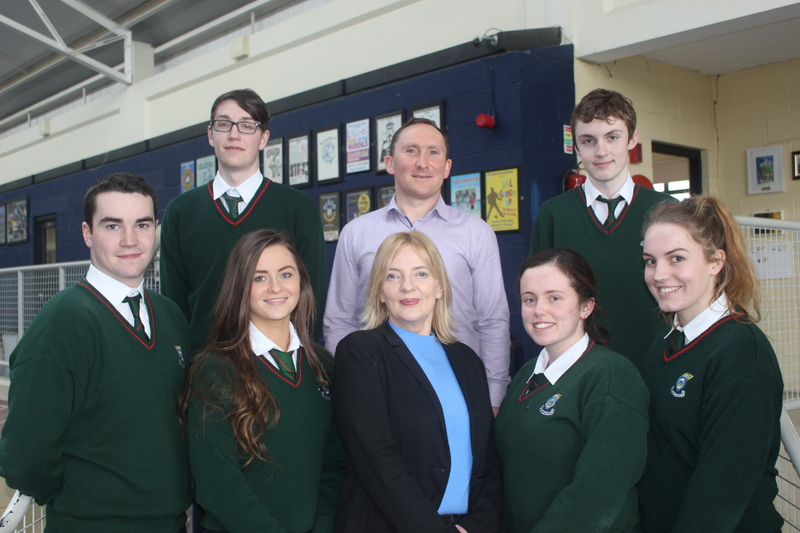 Liadh Ni Riada Ireland South MEP recently visited Cashel Community School to address our sixth year Business, Economics and Accounting students about the European Union. She was accompanied by local Tipperary County Councillor Martin Browne. She dealt with areas such as EU policies, how EU laws are created and the overall impact of the EU on Ireland since we joined in 1973. Liadh also received lots of questions about the implications of Brexit on the EU as a whole and more importantly how it will impact the island of Ireland. Front Row: Matthew Hewitt, Jane Grogan, Eimear Allison & Dearbhla Minogue.